In post-war England, ambitious journalist Stephen Underwood (Alex Pettyfer - Magic Mike, I am Number Four) comes across a disturbing spate of suicides by resettled Polish soldiers. Sensing a story, his first port of call is Colonel Janusz Pietrowski, a Liaison Officer for the re- settlement of Polish troops under British command. But the meeting leaves Stephen unsettled, and from here his investigation escalates as he finds himself embroiled in a dangerous, multi-layered conspiracy concerning the execution of 22,000 Polish military and civilians by Stalin's secret police. 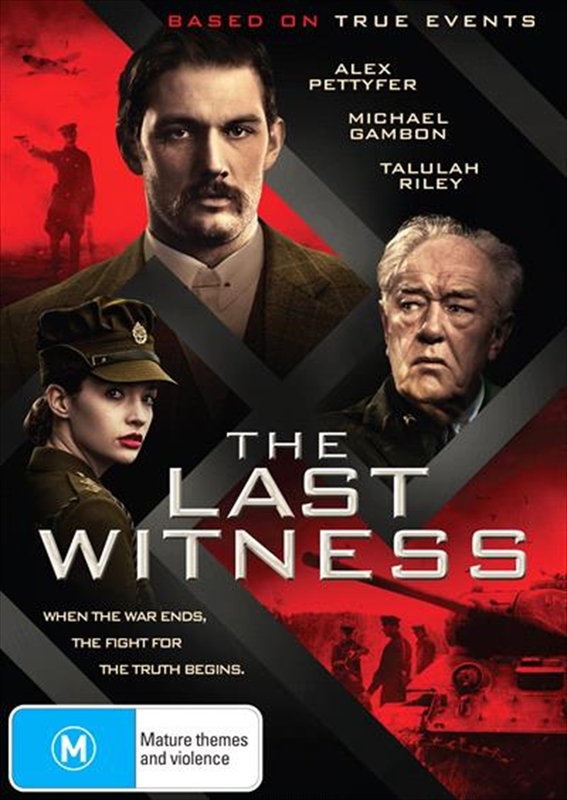 Directed by BAFTA Award Nominee Piotr Szkopiak, The Last Witness is a first-rate political thriller based on the harrowing true events of the Katyn Massacre in Spring 1940.